Justin Ishmael has unveiled the final version of his first sofubi figure, Galligantus, and it’s a beauty!!! 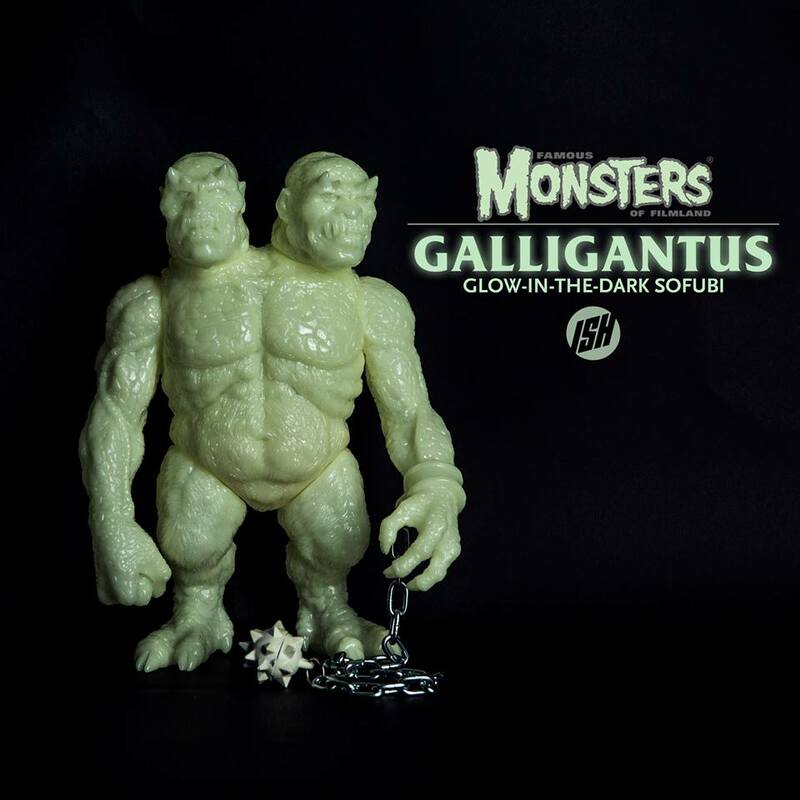 Officially licensed by Famous Monsters of Filmland, Galligantus is based on the original Famous Monsters cover illustration by Ron Cobb. This is the first release in Ishmael’s Make-A-Monster Series, where the figure comes unassembled in a vintage style model kit box. 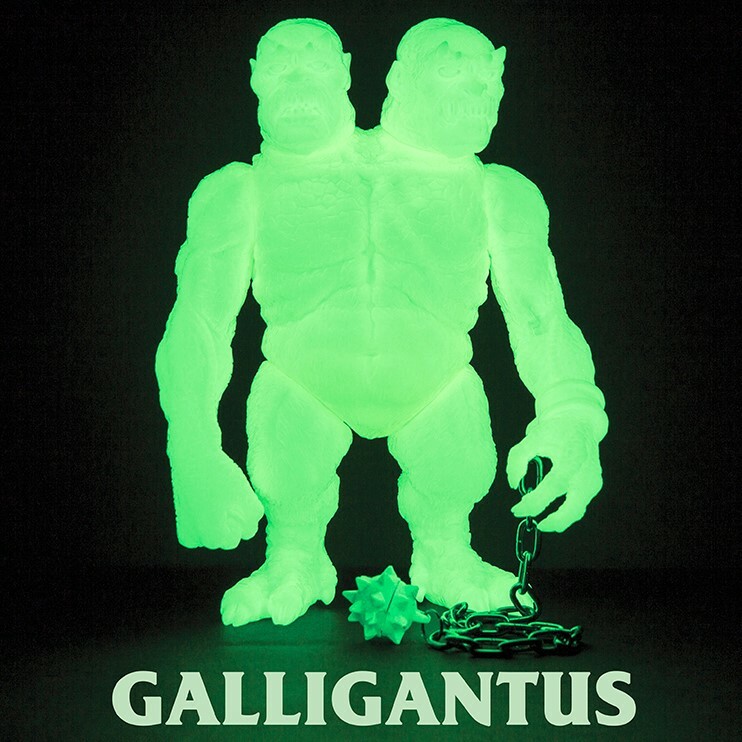 The Galligantus Make-A-Monster Edition Vinyl Figure is cast in super bright glow in the dark Japanese vinyl and stands 12” tall. Each Make-A-Monster box includes 9 unassembled pieces (2 heads, 2 arms, 2 legs, 1 torso, 1 chain, and 1 spiked ball). Pre-order yours today at Justin’s online store for $200.